It's - beginning - to - look - a - lot - like - Christmas.... At least if you walk down Randolph Street outside of the Daley Center. 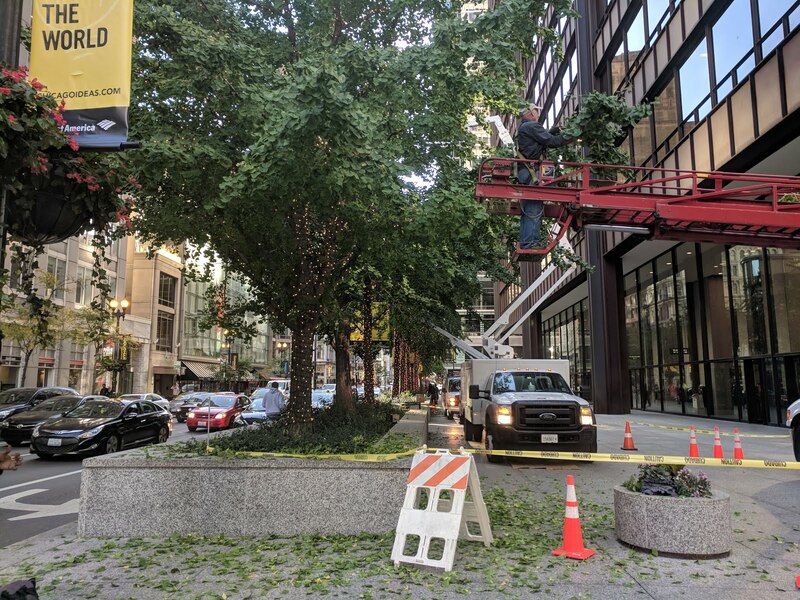 I took this photo on a recent walk and you can see the guys in the bucket trucks stringing little white twinkle lights on the Ginko trees that are perched in the raised beds right along Randolph. I covered this same thing the past few years. In 2016, the lights went up in early October. And in 2015, the lights went up in September. So, the trend continues to creep back towards Halloween. And, I for one, don't consider this Christmas creep. They don't keep them on once the installation is done. Let's just count this as flat out good weather planning, right?